Creekside Quilting has been in business for 15 years! With 5,000 bolts of quilting fabric, Creekside Quilting is the largest quilt shop in the Des Moines area. 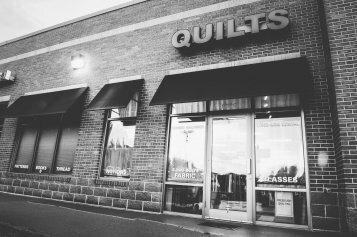 We specialize in helping each of our customers obtain the best products needed to create the most beautiful quilts. Many of our customers say, we are “their happy place”. Come in and check out the extensive selection of fabric, the beautiful samples, the kits, notions, books, patterns, and more. You will love the bright lighting and the friendly helping staff. Come for the fabric, stay for the fun! We are located in Clive, a suburb of Des Moines, on the south side of Swanson Blvd., on the east side of the strip mall. We look forward to meeting you!